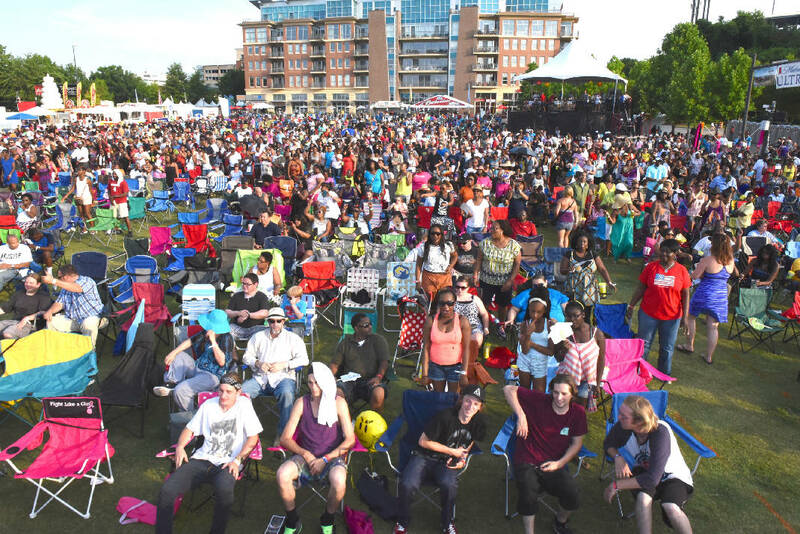 Staff photo by John Rawlston2015 Attendees watch behind the reserved seating area as Doug E. Fresh performs the early show on the Coca Cola Stage at the Riverbend Festival on Wednesday, June 10, 2015. NASHVILLE -- A state senator, a former police chief and head of a gun-safety group warned today that Tennessee's new guns-in-public parks law will set up big-crowd events like Chattanooga's Riverbend Festival for huge safety problems with a volatile mix of firearms, alcohol and lots of people. "We're setting ourselves up for a disaster of catastrophic proportions," charged James Bolden, a former Memphis police chief. The critics charge that law enforcement will have no idea who is lawfully armed and who is not in crowds reaching into the tens of thousands like the Memphis in May festival. Bolden spoke on a conference call with reporters organized by Senate Minority Leader Lee Harris, D-Memphis, in light of a Tennessee Attorney General legal opinion. It says private organizations cannot prevent state-licensed handgun-carry permit holders from taking firearms into events the groups run in local parks. This spring, Tennessee lawmakers passed the law superseding cities and counties from banning guns in their local parks. Attorney General Herbert Slatery's legal opinion, requested by Harris, said local governments can't delegate the authority to anyone else either. Beth Joslin Roth, policy director for The Safe Tennessee Project, which opposed the guns-in-parks law, said there are dangers even if someone has no intent to shoot anyone through accidental gun discharges. She cited cases, including a man in McMinnville, she said, who reached for a handerchief and wound up shooting himself in the leg with the handgun he was carrying. Roth said Tennessee ranks 9th nationally in the U.S. Center for Disease Control and Prevention statistics on accidental gun shootings.